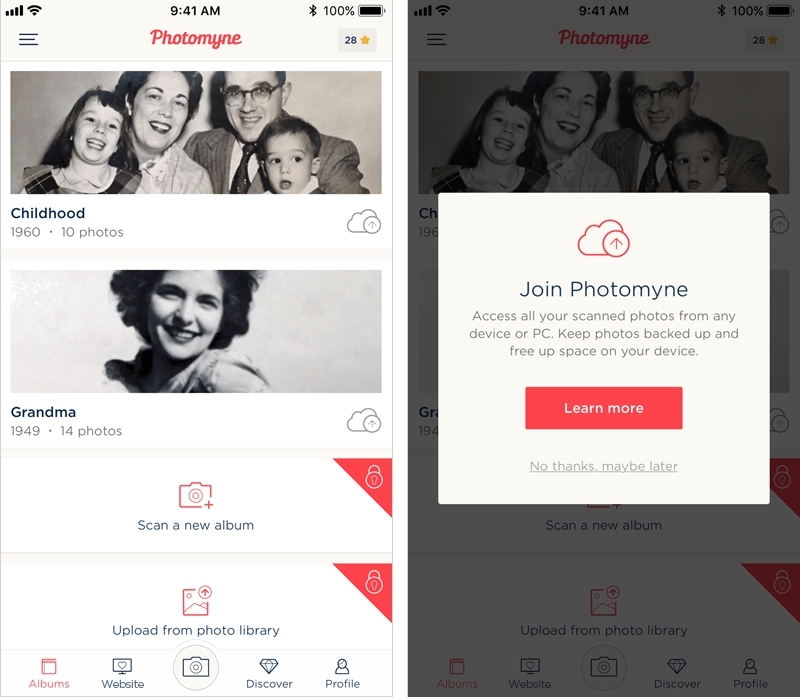 A guide on how to unlock more features when using the free Photo Scanner app by Photomyne. When does the free Photo Scanner app require an upgrade? The free Photo Scanner app by Photomyne (iOS, Android) is meant to give you a taste of the full paid app so you can decide for yourself if it suits your needs. 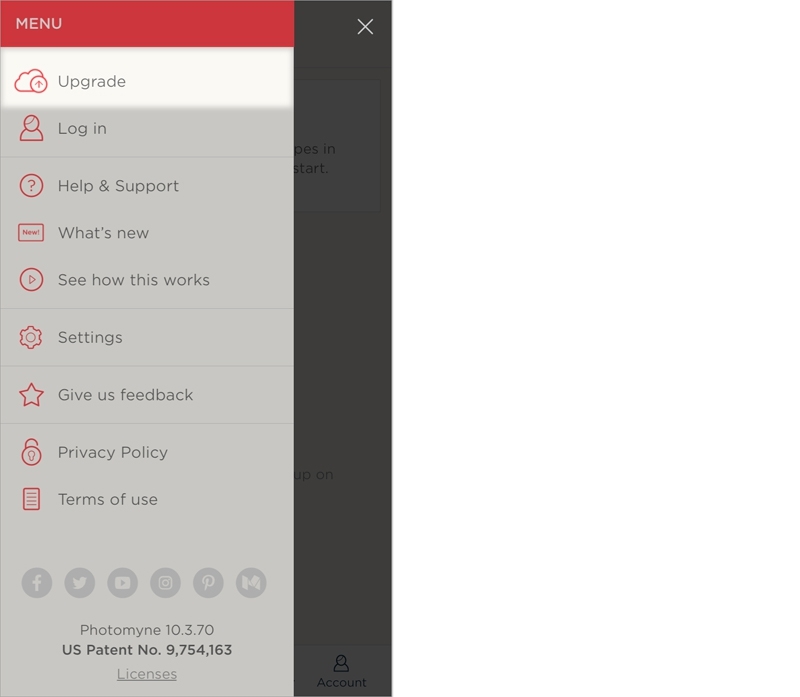 Upgrade options: When reaching the given limit in the free app, you'll see the pop-up notice (shown below). After basic usage, some of the app's options will become locked. You're invited to subscribe to unlock everything. Having an account is practically a MUST if you have lots of paper photos you'd like to scan, save, and share. To join Photomyne, simply tap the side-menu and select Upgrade. 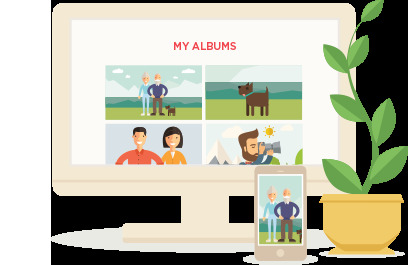 Please note that a Photomyne account is an in-app purchase of an auto-renewal subscription. You can cancel it at any time via your iTunes / Google Play account.